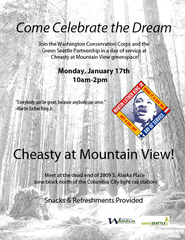 Join the Washington Conservation Corps and the Green Seattle Partnership in a day of service at Cheasty at Mountainview Greenspace. Meet at 2809 S Alaska Place, one block north of Columbia City light rail station. We'll provide tools, gloves and light refreshments. We will be removing ivy and blackberry from Cheasty/Mt. View; please wear sturdy shoes and warm clothes. 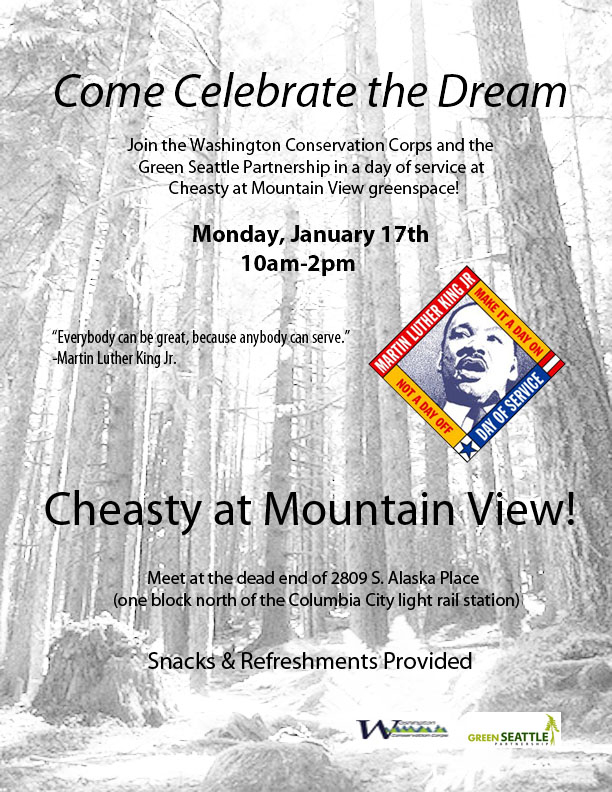 Please invite your friends and neighbors out for this great day of service honoring the life and legacy of Martin Luther King Jr.